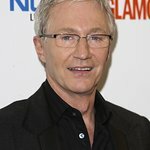 Paul O'Grady, TV presenter & star of the popular TV show ‘For the Love of Dogs’, has condemned a Court of Appeal decision denying Cruelty Free International permission to appeal a High Court ruling which paves the way for the expansion of a beagle breeding facility in East Yorkshire. The appeal was the last opportunity to prevent innumerable dogs from being bred inside the Bantin and Kingman Ltd (B&K) breeding farm in Grimston, East Yorkshire, before being sold to UK and EU laboratories where they will endure crude and cruel experiments. Last June Cruelty Free International applied for permission to appeal against the High Court decision, which disappointingly has now been rejected. In 2014 the Home Office decided B&K did not have to provide outdoor space to dogs, despite EU regulations stating that such space should be provided where possible. The government department justified the move on the scientifically unproven basis that the dogs would be at risk of exposure to airborne toxins if they went outside – which they speculated would make them unsuitable for toxicology (poisoning) experiments. Around 90% of the dogs in UK laboratories are used for toxicology tests; the approach therefore means that dogs used in these sorts of tests could virtually never be given outdoor access. 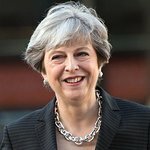 The public will be shocked to learn that the Home Office will now be able to grant an exemption in any case it wants, just by citing an alleged risk of infection. Cruelty Free International has led the campaign against the development of the B&K beagle breeding farm since 2011 and successfully prevented two previous applications to expand the facility. The nationwide move to save the #YorkshireBeagles has received widespread public support, and is backed by MPs and a host of celebrities including Paul O’Grady, Ricky Gervais and Jilly Cooper.